I’m handing you a hot potato here as all the experts say you should make the dough for the gnocchi while the spuds are still warm. Cue burned fingers, but they’re right, it does produce a lighter result. Mind you, it’d be hard to produce something worse than those solid little bullets you can buy in supermarkets. You know the ones I mean, they sit in your tummy like lead weights. These are lighter and they marry very well with pan-fried chicken breasts and a Parmesan cream. 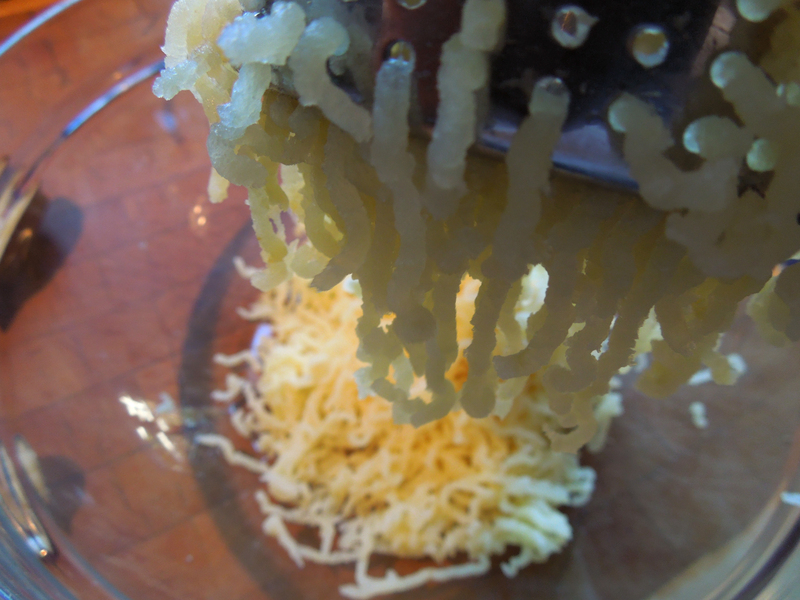 Normally I would add around 60g of grated Parmesan to the gnocchi but there’s plenty of Parmesan in the sauce. I’ve given the recipe for this sauce elsewhere but I’ll repeat it here to save you the trouble of looking it up. All you need in addition are some fresh greens. I used purple sprouting broccoli as we have lots in the garden at the moment but whatever floats your boat. Asparagus is in season now and would be fabulous with this. To make the gnocchi, bake the potatoes at about 200C/400F/Gas Mark 6 until soft, then as soon as they’re cool enough to handle, scoop out the soft innards. 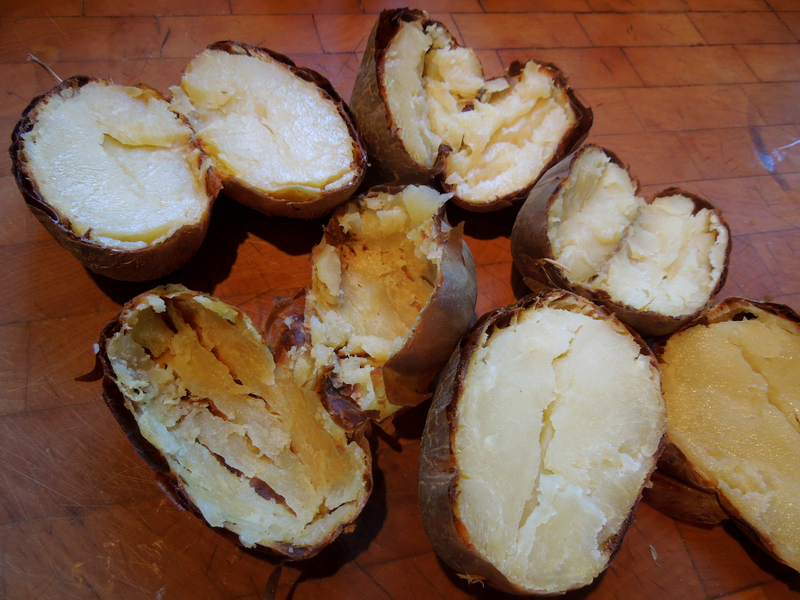 This gives you a drier potato than boiling them, which is useful in this recipe. You can save the outsides to make crispy potato skins. Mix until you have a soft dough that doesn’t stick to your fingers, adding more flour if necessary. 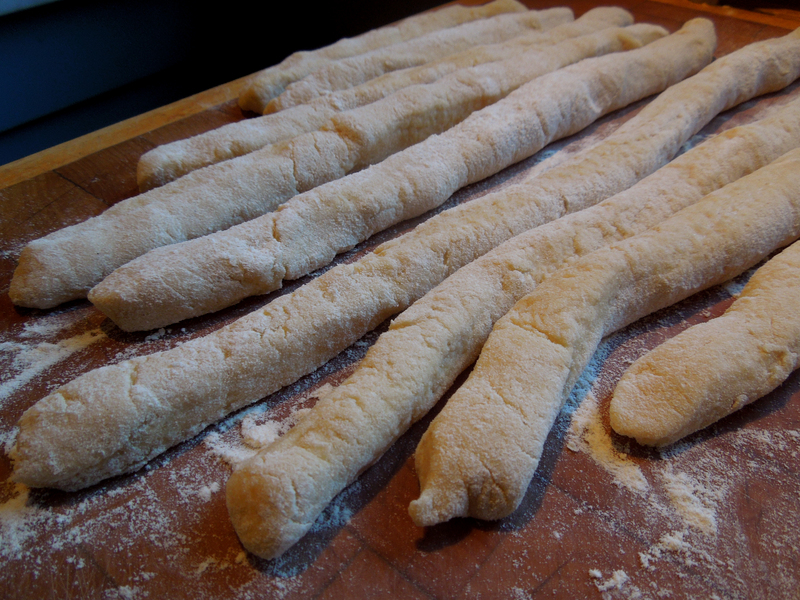 Don’t overwork the dough or your gnocchi will be tough. When it’s come together, form into a ball and set aside covered with a tea towel, while you clean your work surface. 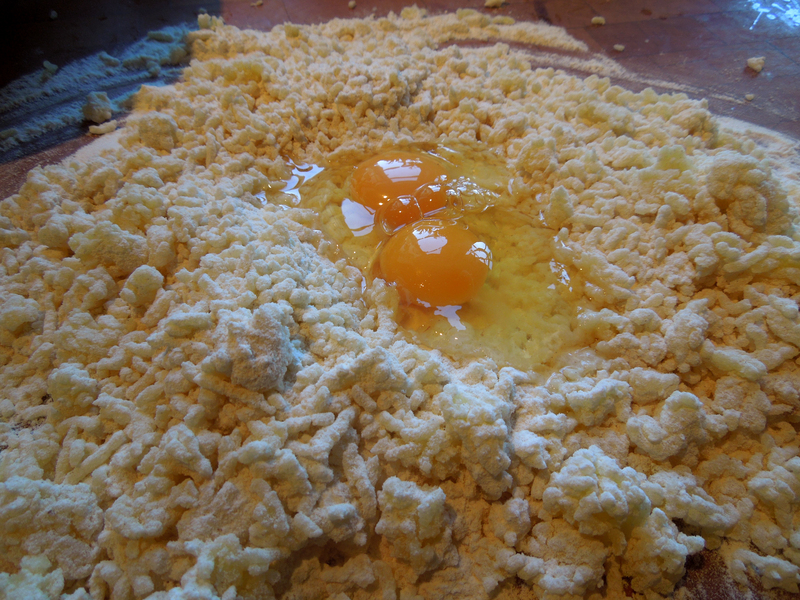 Re-flour your board and press the dough into a rectangle about 2 cm thick. Cut into strips 2 cm wide and roll into sausages. Cut these into 2 cm pieces then if you want to be totally authentic, roll them over the floured tines of a fork, pushing your thumb into the other side, so they’re sort of striped on one side and indented on the other. Or just leave them as little pillows. Put them on a tray dusted with flour. If you’re not going to use them immediately, dust the tops with more flour. They’ll hold like this for two to three hours but after that they begin to go a bit claggy. 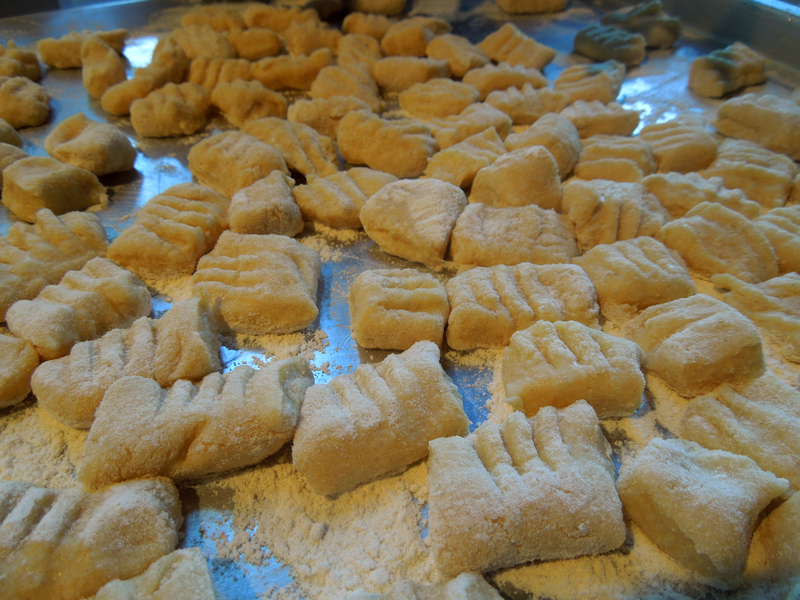 If you want to freeze the gnocchi, freeze them on the tray for at least an hour before bagging them up. If you’re cooking from frozen, do them in small batches because frozen gnocchi will cause the water temperature to drop and they’ll overcook if you crowd the pan. When you’re ready to eat, put a large pan of salted water on to boil. Season the chicken breasts with salt and pepper. 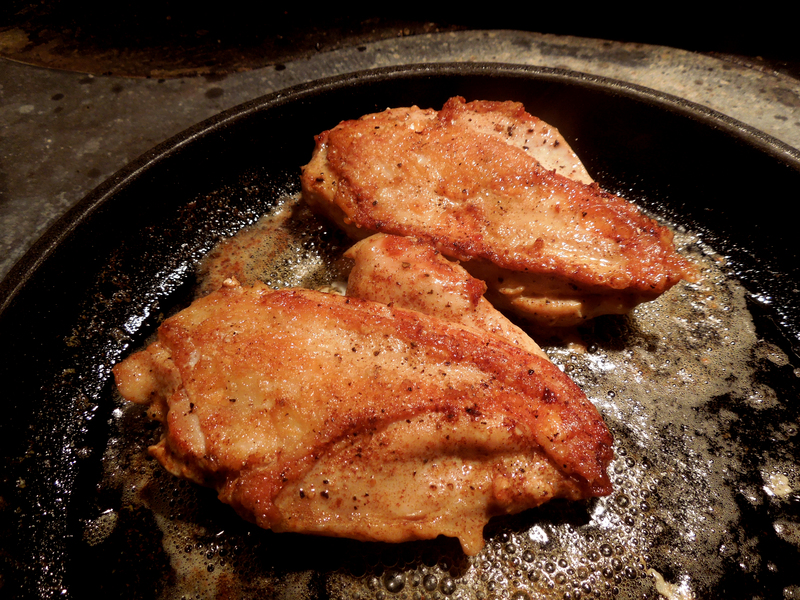 Add a splash of oil and a bit of butter to a hot frying pan and cook the chicken, skin side down, over a medium heat until the skin is golden brown. Then flip over and cook the other side for six or seven minutes minutes or until the juices run clear when the meat is pierced with a knife. It depends on their size. Set aside to rest somewhere warm. To cook the gnocchi, turn the pan of water down to a gentle simmer and drop in your gnocchi in batches. When they float to the surface, count to 10 then lift them out and drain them, keeping them warm while you do the next lot. To make the sauce, bring the cream to a boil in a small saucepan over a medium heat, and whisk in the Parmesan and some freshly ground black pepper. Cook for a minute or two until it’s thickened to your desired consistency. 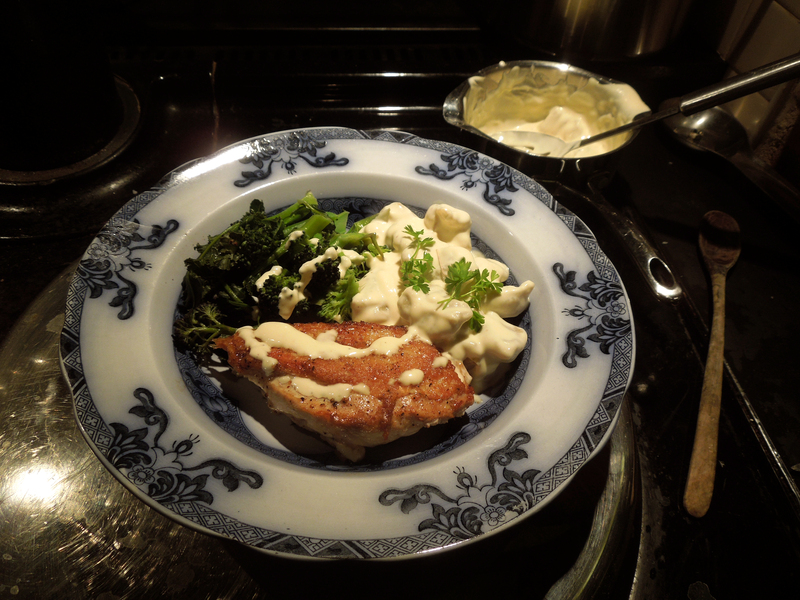 Then stir a little of the sauce into the gnocchi and serve them alongside the chicken breasts and your greens. Drizzle more sauce over the top and garnish with parsley. 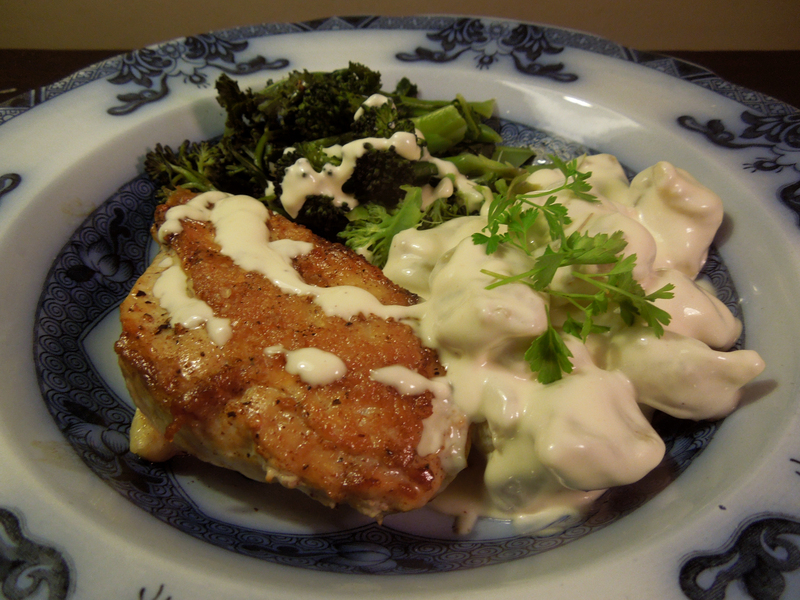 This entry was posted in Chicken and other poultry, Mains and tagged chicken with potato gnocchi and parmesan cream, Pan-fried chicken, potato gnocchi by Linda Duffin. Bookmark the permalink. We are SO having this for dinner on Saturday. I’ve made gnocchi once before ages ago and whilst no two pieces looked remotely the same it did taste good. Thank you for using the word ‘claggy’ in a recipe too. Reminds me of my dad, a Suffolk man born and bred, who used the word about the soil in the garden after rain. This went down a treat tonight! The gnocchi tasted delicious and it was as light as air. We had peas with it all- and raised a glass of wine to the new Royal Princess. Many thanks for another great recipe. I want that bowl / plate. So elegant. The joys of eBay. Sadly I only have one. Used your excellent gnocchi recipe again for tonight’s Valentines meal! I confess I used it in Theo Randall’s Gnocchi with Langoustines recipe, but it really does make delicious, light and fluffy gnocchi.